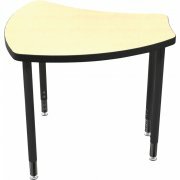 Take your classroom to the next level with Balt Shapes Collaborative School Desks. 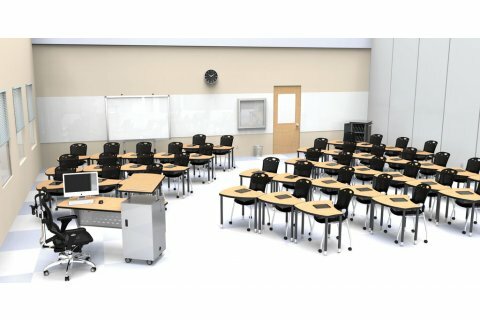 These versatile student desks offer numerous configurations, ultimate flexibility and workspace comfort to help your students maximize their learning. 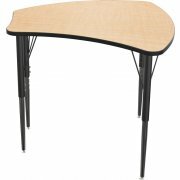 The contoured sides of the work surface have an identical curve radius, enabling you to arrange your learning area in multiple collaborative clusters, rows and more. 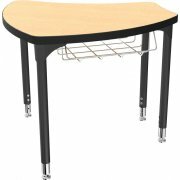 These school desks are designed for the dynamic classroom. 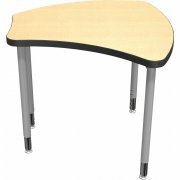 Durable, height-adjustable, high-gauge steel legs and smooth laminate work surfaces with ergonomic contours help every student get the perfect fit. 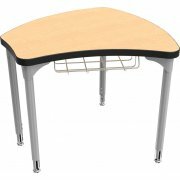 Whether your students prefer right- or left-handed desking, independent work, learning partners or group projects, these adaptable student desks are an excellent choice.